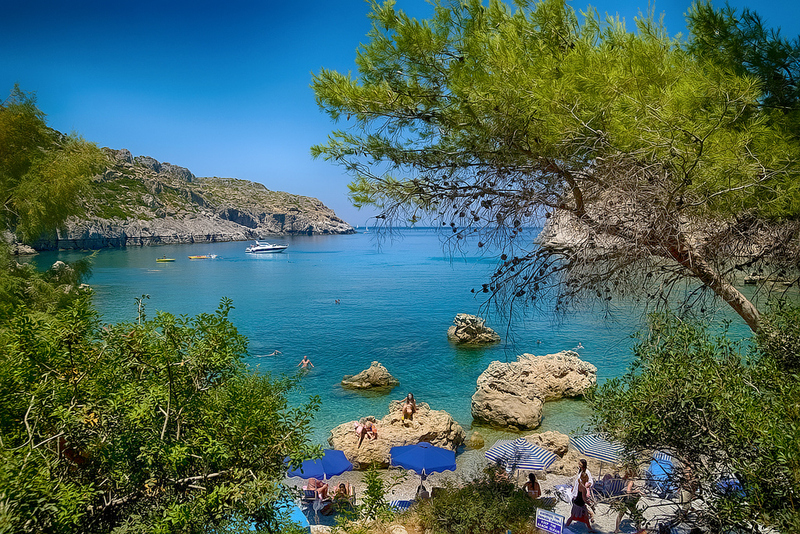 Anthony Quinn beach, is a fantastic natural port on the east coast of Rhodes. Its outstanding natural surroundings where used as the main scenery for the Hollywood epic The Guns of Navarone. 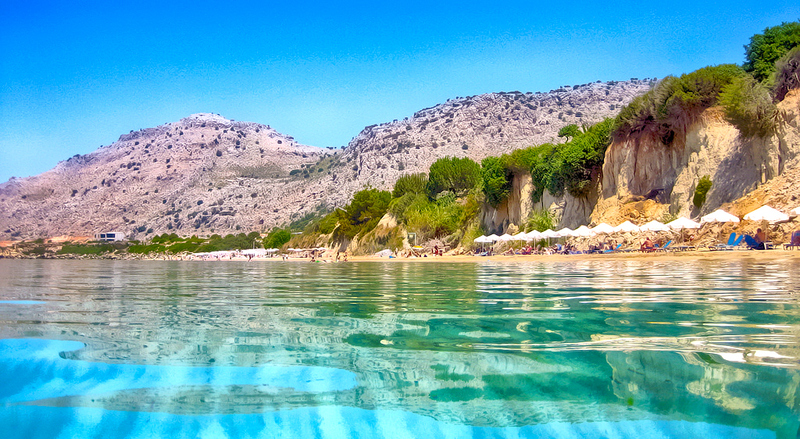 The small but popular beach takes its name from the famous Hollywood actor who owns a large property in this area. The area where the e beach is located is called Ladikò and it is easily accessed from the main road that connects Faliraki with Afandou. 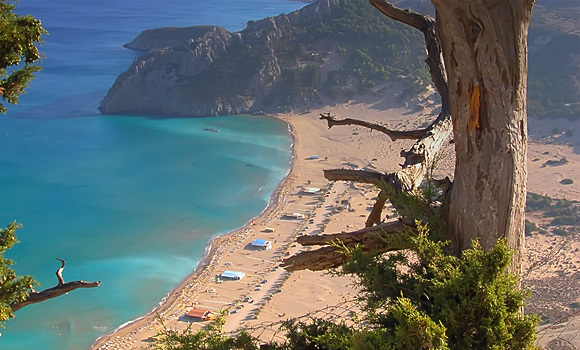 It is distant about 16 km from downtown Rhodes and about 1.5 km from Faliraki’s center. Highly recommended!